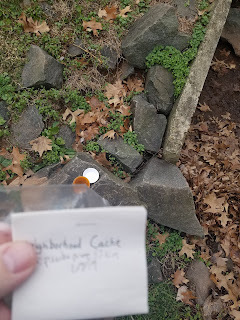 I, uh, found six caches in Winter 2019. So not much to report. On January 7, I was First-to-Find (FTF) on a geocache near me. I've been advised to take a picture of the log in case there is a dispute about who found it first, so there it is above. That's my 19th FTF, and my 12th different FTF Difficulty/Terrain (D/T) combo. 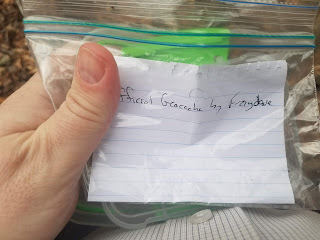 January 2019 is the 182th month a geocache was hidden in that I found a cache. On February 17, I found four caches. 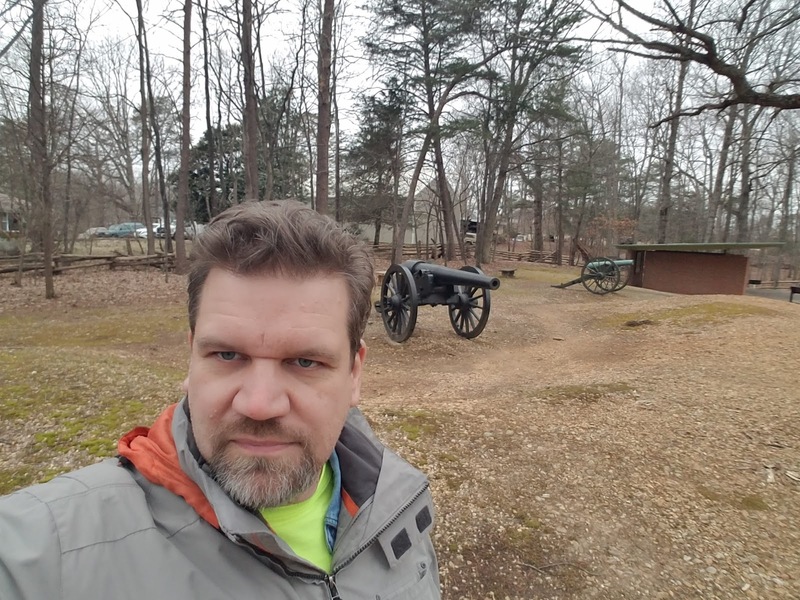 They were in Stafford County (County 88), Fredericksburg (County-equivalent 89) and Spotsylvania County (County 90). Above, you can see me at one of the virtual caches. That was one of two I found that day hidden in June 2001 (Month 183). 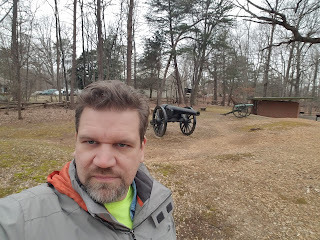 On February 19, I had another FTF (#20). 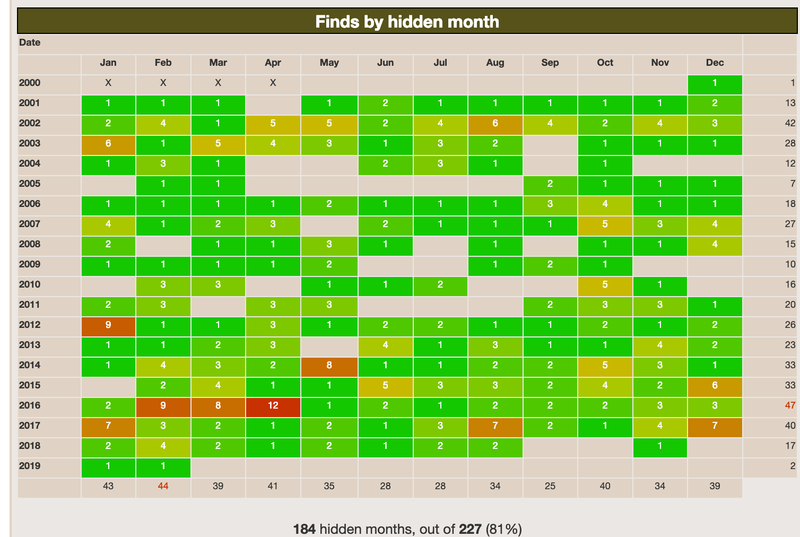 It was my 13th FTF D/T Combo, and February 2019 was my 184th hidden month. That second one is my cache! I hope you enjoyed it. Yes! Definitely the type I like...in nature, but not too far from civilization.